Bring your mobile app design to life faster and within your budget by making Venture Aviator your preferred mobile app development company. We’ve worked hard to develop a reputation as a leader among mobile app development companies based on one simple belief — the client’s needs always come first. Take a moment to explore the mobile app development services we offer to see how we’ll help turn your concept into a beautiful and profitable reality. Our approach to the mobile app development starts with a focus on what’s going to work for the intended user. Our mobile app developers will take the time to understand what goals you want to achieve with your product, what problem you are trying to solve, and what capabilities you want with your new application. We’re flexible enough to fit in where we’re needed. If you only need our mobile app developers to augment your current team, simply let us know what kind of expertise you need. You can hire specific experts from our team to help with tasks such as UX/UI design, business analysis, quality assurance, code development, or certain aspects of project management. Need access to a full team? No problem! We can provide any level of assistance you need. Approximately 99 percent of all new smartphones run on iOS and Android operating systems. 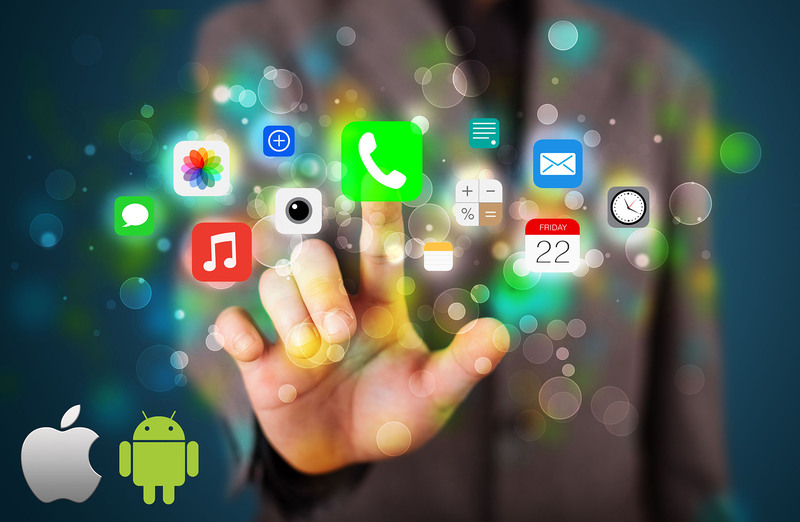 Because of our agile methodology for mobile application development and ability to adapt products to the needs and preferences of our clients, you’re welcome to choose an app created for your preferred operating system. A well-designed product made with user experience in mind will be effective on devices running either OS. Your choice of platforms will depend on several factors; including cost, expected duration of the work involved, and what’s best for your intended users. iOS apps tend to make more money while Android has more users worldwide. Fortunately, our mobile application developers can create a highly engaging product for users on any platform. Our costs are always up-front and honest, so you’ll know what to expect before we get started with your mobile app design. If your goal is make your native app accessible to the more than 1 billion active Apple devices, our iOS development service is what you’ll need. Since the iPhone is the best-selling phone in the U.S., effective mobile apps development for iOS from the nimble mobile app team at Venture Aviator will definitely have an impact on your ROI. Are you looking to reach the 2 billion monthly active Android devices? We have some of the best mobile apps developers on our staff ready to help you create an inspiring Android-based product designed to solve business problems, reinforce your brand, and attract users. Some mobile app companies specialize in one OS or only native app development. But we like to give our clients the ability to appeal to any intended users, no matter what OS they prefer. 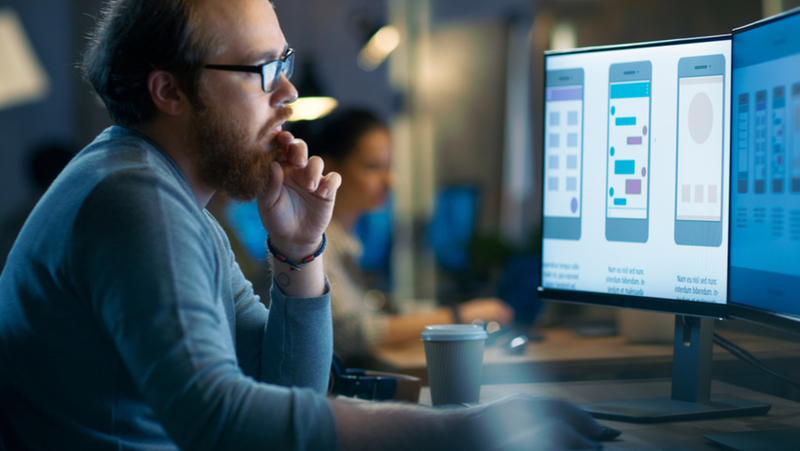 With our cross-platform development services and capabilities in techologies like Cordova, PhoneGap, Xamarin, and React Native, you’ll enjoy a product that will work seamlessly on any operating system. You’ll have your choice of mobile application development companies as you look to take your product idea from concept to completion. However, we think you’ll appreciate choosing Venture Aviator as your mobile app design company for our low-risk, client-centered mobile development methodology. The App Store has more than 1.5 million apps. Google Play is home to over 2 million apps. Even so, nearly one in four people abandon mobile apps after a single use. What we strive to do as a mobile applications developer is to create products that will become something consistently used by customers. We’re a mobile application development company US businesses can count on to produce applications designed with user engagement in mind. So, what makes us one of the best mobile app development companies? Need Mobile App Developer Assistance and Insights? Don’t just settle for a minimum viable product. At Venture Aviator, we think you deserve to treat your customers to a “maximum lovable product.” We’re a mobile app development company with a personalized approach to what we do for our clients. 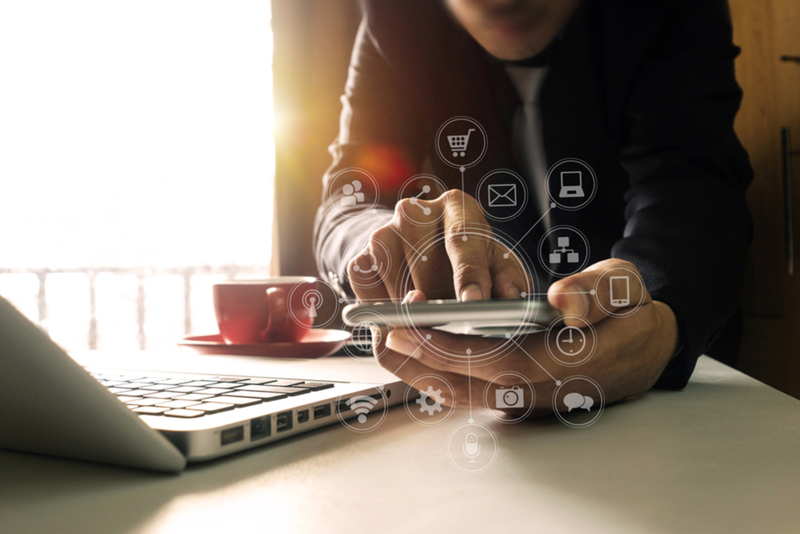 See for yourself why we’re different than many other mobile app development companies in all of the best ways possible. Contact Venture Aviator today to let us know how we can help you create a memorable user experience with your new mobile app. Venture Aviator is an innovative IT services and business strategy consulting firm that focuses on technology startups and high-growth companies. We significantly increase both the efficiency and profitability of our clients by allowing them to fully leverage cost-effective, high-level global IT teams at a much earlier growth stage than has traditionally been possible.